In Greece, this day was the Lesser Festival of Dionysius. Dionysius (Bacchus), the god of wine, was the son of Zeus and Semele. As wine was considered to have medicinal and cultural value, Dionysius was viewed as a promoter of civilization, a lawgiver, and a lover of peace. Galileo Galilei died this day in 1642. During his life, he was condemned for speaking the truth, that the world was round and revolved around the sun and was not, as the Church asserted, the center of the universe. 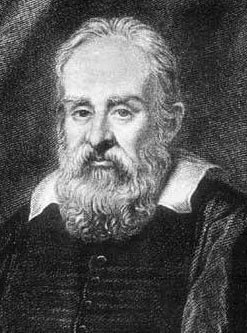 Galileo was born in Pisa on February 15, 1564. His father, Vincenzo Galilei, played an important role in the musical revolution from medieval polyphony to harmonic modulation. Just as Vicenzo saw that rigid theory stifled new forms in music, so his oldest son came to see Aristotelian physical theology as limiting scientific inquiry. Galileo was taught by monks at Vallombrosa and then entered the University of Pisa in 1581 to study Medicine. He soon turned to Philosophy and Mathematics, leaving the University without a degree in 1585. For a time he tutored privately and wrote on hydrostatics and natural motions, but he did not publish. In 1589 he became Professor of Mathematics at Pisa where he is reported to have shown his students the error of Aristoteles’ belief that speed of fall is proportional to weight, by dropping two objects of different weight simultaneously from the leaning tower. His contract was not renewed in 1592, probably because he contradicted Aristotelian professors. The same year, he was appointed to the chair of Mathematics at the University of Padua, where he remained until 1610. In 1609 he heard that a spyglass had been invented in Holland. In august of that year he presented a telescope, about as powerful as a modern field glass, to the doge of Venice. Its value for naval and maritime operations resulted in the doubling of his salary and his assurance of lifelong tenure as a professor. At Padua, Galileo invented a calculating "compass" for the practical solution of mathematical prelims. He turned from speculative physics to careful measurements, invented the microscope, built a thermoscope, discovered the law of falling bodies and the parabolic path of projectiles, studied the motions of pendulums, and investigated mechanics and the strength of materials. He showed little interest in astronomy, although beginning in 1595 he prefered the Copernican theory –that the earth revolves around the sun- to the Aristotelian and Ptolemaic assumption that planets circle around the earth. Only the Copernican model supported Galileo’s theory, which was based on motions of the earth. He encountered serious opposition from the Catholic Church, who admonished, summoned, condemned and also compelled him to abjure his theory. In October 1632, Galileo was found guilty of heresy by the tribunal of the Holy See in Rome. They sent him to exile in Siena and finally in December 1633, he was sentenced to house arrest to his villa in Arcetri where he died January 8, 1642. Born Violet Mary Firth, Dion Fortune, also a member of the Golden Dawn, died today in 1946. In Mayan calendar systems, this day begins the Uinal Before Dawn, the twelfth of the 20-day Uinals in the current cycle of the Tzolkin, or 260-day calendar (13 Imix, Tzolkin 221). The symbolic bird for this uinal is the Quetzal, the symbolic planet Venus as Morning Star, embodiment of the beauty of the new day. For Muslims on Hajj, this day begins the climactic last three of the pilgrimage. It is called Waqf al Arafa because pilgrims stand together on the plan of Arafa to pray for forgiveness and mercy. A Greek holiday honoring midwives and birth, appropriate at the start of the new year. The village midwife, surrounded by attendants, and adorned with gilded flowers, onion and garlic braids and necklaces of dried figs, currants and carob-beans (all fertility symbols) receives gifts from all the women of child-bearing age. They pour out water for her and kiss a large phallic symbol made from a leek or sausage and called the schema (meaning shape). Afterwards the women feast and drink, then lead the midwife through the streets on a carriage, sprinkle her with water from the fountain and sing, dance and tell lewd jokes. The men stay inside. On this day in 49 BCE, Julius Caesar was ordered to disband his army. He refused, and crossed the Rubicon three days later. To the Egyptians this day was celebrated as the birthday of Sekhmet, the goddess of the healing arts. Sekhmet was a goddess of the Memphis triad, sometimes shown as a lion-headed woman. Sekhmet was prayed to by mothers who wished to nurse their children, as in the following incantation: O thou who lives on the water, hasten to the Judge in his divine abode, to Sekhmet who walks behind him, and to Isis, ruler of Dep, saying, "bring her this milk." On this night in 48 BCE, Antony, Cassius, and Curio fled from Rome to join Caesar at Ariminum. 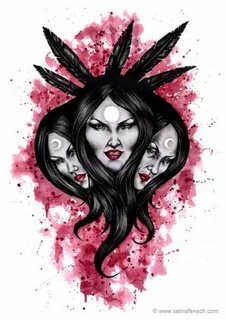 The feast of Morrigan honors the Irish triple goddess of death and destruction. Remember, death is only a door through which we all must walk. The Morrigan is a goddess of battle, strife, and fertility. Her name translates as either "Great Queen" or "Phantom Queen," and both epithets are entirely appropriate for her. The Morrigan appears as both a single goddess and a trio of goddesses. The other deities who form the trio are Badb ("Crow"), and either Macha (also connotes "Crow") or Nemain ("Frenzy"). The Morrigan frequently appears in the ornithological guise of a hooded crow. She is one of the Tuatha Dé Danann ("Tribe of the goddess Danu") and she helped defeat the Firbolg at the First Battle of Mag Tuireadh and the Fomorians at the Second Battle of Mag Tuireadh. The Nana-kusa, Festival of the Seven Grasses, is held in Japan. In early times, the Court and people went out to gather parsley and six other edible herbs. These are traditionally powdered into stew called the nanakusa-gayu, which is eaten as part of the New Year’s rituals. It is a type of rice-gruel or congee flavored with greens. This day is also Koshogatsu, sacred to the Shinto Goddess Izanami- no-Mikoto. She and her brother-consort, Izanagi-no-Mikoto, were the primordial creators who fashioned the natural world and its kami, or nature spirits. This day is exactly opposite on the year wheel to Tanabata (7/7), the Japanese Feast of the Lovers. Izanagi no-Mikoto and Izanami no-Mikoto are worshiped through offerings of flowers. The goddess is also worshiped with drums, flutes, flags, singing and dancing. During the Uzue-matsuri, each participant offers a plum branch (peach was formerly used) on which he or she has attached a slip of paper with his or her name and age (or date of birth). After the ceremony, every person retrieves his or her offering for protection throughout the year. St. Distaff’s Day was so called because on the day following Twelfth Night, women returned to their distaffs or daily occupations. It is also called Rock-Day, a distaff being referred to as a rock. In Bulgaria, boys duck the girls in the icy waters of rivers and lakes, an ancient custom which is said to bring them good health in the coming year. Like the customs described above on Epiphany, it seems to promise a fresh new beginning. In Norway, eldbjorgdagen means fire-saving day but a Saint Eldberga was later invented to explain the holiday. A report from Seljord in 1786, tells that the mistress of the house celebrated the return of the sun by drinking a draught of ale before the hearth, throwing something into the fire and then saying: "So high be my fire that hell is no higher or hotter." Then the rest of the household sat around the hearth, with their hands behind their back, and drank ale from bowls which were drained then tossed behind them with a toss of the head. If a bowl landed face down, the drinker would die within the next year. Another custom was to toast the members of the house and the king. In Skedsmo, this was said to be the day the hibernating bear turns over in his sleep. On the eighth day of the 12th lunar month, the Chinese offer a special gruel to Buddha and the Ancestor. It is also given the following day to friends and relations along with pickled cabbage. The quality of the pickled cabbage predicts the fortune of the maker.